I am taking the advice of my mom (mark the date!) 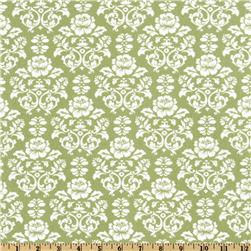 and setting my sights on something a little less busy and a little more classic for potential drapery for the big window. So, mom, what do you think about any of these? Clearly, I'm feeling green. This last one is my favorite. What do you think? Raise Your Glass by Pink. I actually like just about everything by Pink. Heaven (Where True Love Goes) by Yusuf Islam. Now, I love the Cat, but generally I'm not into denominational music or denominational anything. I just kind of close my ears at the points where it talks about being saved and knowing His name, and this song really is beautiful. Only Happy When It Rains by Garbage. This probably described me more when I was young, maybe between 16-24--back when I had time and energy to enjoy it when things were complicated. Still, great memories about this song (this whole album, really). Let the Drummer Kick by Citizen Cope. I still kind of like this song, particularly the opening, but I REALLY don't like the stream of "tion" words masquerading as lyrics. But, it's still a good hook. High and Dry by Radiohead. Best album, and one of the best bands. Seriously, this whole record is just perfect. Positive Tension by Bloc Party. We saw these guys at the Orpheum in Boston and they were awesome. I listened to this song a lot when I lived in Boston, and I felt angry a lot in Boston, so I suppose the connection forged itself. Dreams by Van Halen. I'm not a huge fan of VH, but Eric is, and he insisted that Dreams be the last song that played at our wedding reception. I will forever remember Eric and his best man drunkenly embracing each other, and then the best man climbed onto the luggage cart and demanded to be taken to his room. What a night. I have one of those freakish memories where I can remember the words of just about every song I hear (yet can't remember what I did 10 minutes ago). But this one has a story... Losing My Religion by REM. I know all the real words, but I also remember the words to a song we made up to the melody at Band Camp, in 8th grade. Destroy Everything You Touch by Ladytron. This song takes me back to Heroes in Boston, the best dance night EVER. #10: A Song From My Favorite Band. Hey! by The Pixies. Picking a favorite band is tough. But I think I'll go with The Pixies. I spent most of the summer before I went to college listening to The Pixies and playing Solarian on my huge PowerMac. For variety and listenability, you can't beat The Pixies. Yes, there is a lot of DEstruction and little CONstruction going on at #2021... Right now, in addition to the various electrical and plumbing quotes we're hearing, we are also doing some tuckpointing in the basement. This is necessary and we have been meaning to do it for a long time. A couple summers ago, we had the exterior foundation walls done, and that helped a lot, but given that our north neighbor has gutters, but those gutters are growing trees because they are so full of debris, we don't get a lot of water control on those days (apparently EVERY day, because it hasn't stopped raining since March) when it rains uncontrollably. So, interior tuckpointing. AND, as I've noted before, our basement entry has a door, but that door is at the bottom of a pit that does not have stairs. We're not surewhere the stairs went, but the walls around the pit were starting to cave, and without a cover forthe doorway, we inevitably had some leaking. With the purchase of a new furnace,it became ever more important to make sure that we're not messing around with leaks. So, here we are. The Pit of Despair. Don't even think about trying to escape. Our backyard. This is actually an improvement. Meanwhile, work persists, albeit at a snail's pace, in the kitchen. The subfloor is nearly complete. And, for a reason I don't yet fully understand, studs have been exposed. This wall will, ultimately, be opened. But yeah, not sure why now. The good thing? The orange paint is coming down. This color has haunted my dreams since it went up. Grace by Jeff Buckley. Hands down. Some boy my freshman year of college made me a mix tape and while the relationship went nowhere fast, this song was on it, and thus began a (to-date) 15 year love affair with a deceased troubadour. My poor Jeff--how I love him. #2: My least favorite song. This one is stupid. Why Can't I Be You by The Cure. Just the thought of Robert Smith rehearsing his dance moves for this video slays me. The Cure is so dramatic and self-absorbed--so 80s! I love it. I Grieve by Peter Gabriel. Tremendous song, and reminds me of the (thankfully few) sad times in my life. #5: A Song that Reminds You of Someone. Too Shy by Limahl and Kajagoogoo. Reminds me of Ashlee, of course. We used to sing this song to each other as we worked on the Massachusetts state budget. I know that the plans I posted the other day didn't work, and I ended up giving a huge explanation of a picture that doesn't exist. Sigh. 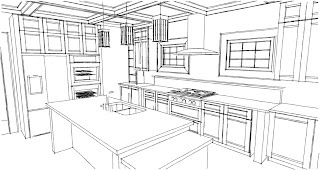 Here are two actual pictures of what we're thinking the kitchen will look like. I will write more about this, as well as post pictures of what it ACTUALLY looks like, tomorrow, when I will not have just been at work for 14 hours. I just have to brag. Is this not the cutest kid in the world, or what!? Kitchen cabinets! We bought them! 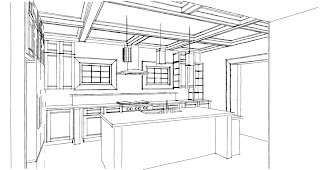 They're on order, so we don't have them yet, and I still shudder to think at the size of the check I wrote on Friday night, but despite the fact that the floor is ripped up, this is still the clearest sign to date that the kitchen remodel is actually happening. We went with Kraftmaid, Mapleton Square cabinets, which seem pretty darn nice, if not totally custom. We ended up going with a painted finish, surprising ourselves. In discussing it on the way to the store, we both just kind of came to the realization that we wanted paint. So, it's a sort of antique white finish. Nice. I am having the hardest time finding pictures of the cabinets that aren't embedded in some flash feature, so just go to this website to see them. We're going with another slate tile for the kitchen floor. 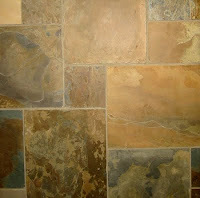 Of course, we have slate tile in the current kitchen, but it would be far too easy to stay with the same tile. This is what it looks like--not exactly but close. Of course, I didn't take pictures of either the cabinets or the tile when I was in their presence. I think our slate is a little less golden than this, and ours is 16x16. 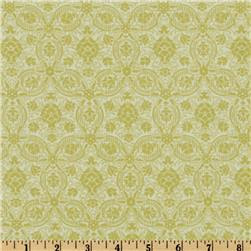 As I was hoping, my mom was brutally honest about my fabric selections for the big window--hesitantly so, of course. We were in the parking lot of Babies r Us (entrance to hell) and I asked, "so, did you see the blog." Mom said, "Umhumm." "So, what did you think?" "What about the orange one?" "No, but really, what did you think?" "Well, let me just tell you that when you have the curtains up, there are going to be folds, so you're not going to really see the pattern, and the curtains are A LOT, and I just think that those fabrics would really really be a lot on that window." Okay, then. See, that wasn't so hard. Sometimes I have to have someone tell me that my decisions are utterly poor taste. 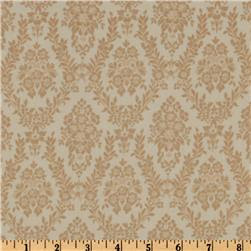 If I'd had mom giving me opinions all the time, maybe I wouldn't have a chocolate brown bedroom. It is truly hideous. In other news, obvs, the fam is in town. Just for the night. Harpster sure enjoys having Grammy and Pap around, and was in rare form this evening, showing off her impressive growling and howling skills, along with her screaming skills, when she really didn't want to sit in her high chair, and when she did a face plant into the floor after tripping over the coat rack. She took a 30 minute nap today--surprisingly good spirits, especially since she is usually a total pill when she gets sleepy to her core.